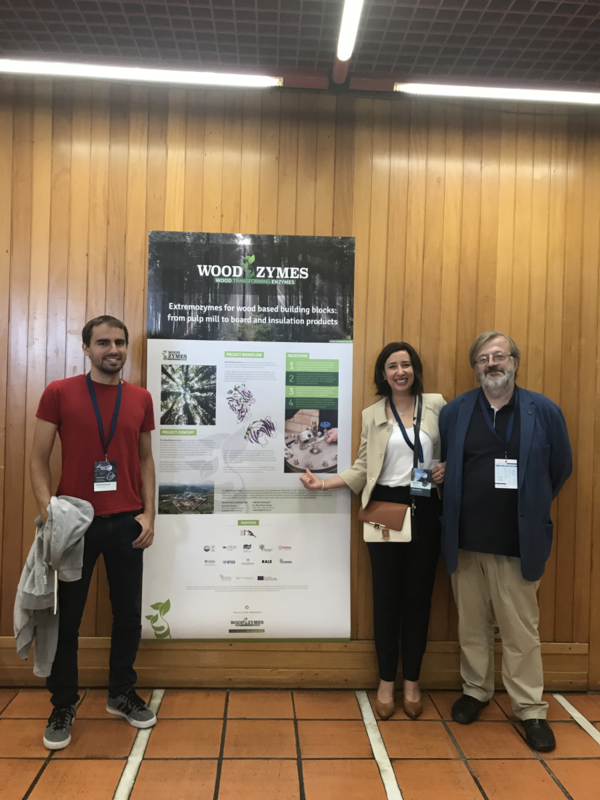 A poster about the WoodZymes project was presented last week at the 15th European Workshop on Lignocellulosics and Pulp celebrated in Aveiro, Portugal. 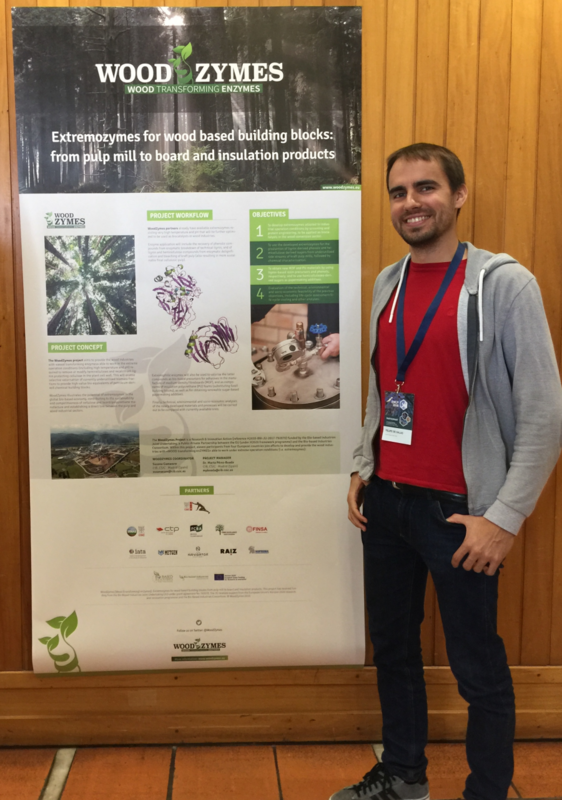 Project partner RAIZ co-organized this event together with the Universities of Aveiro, Coimbra and Lisbon. 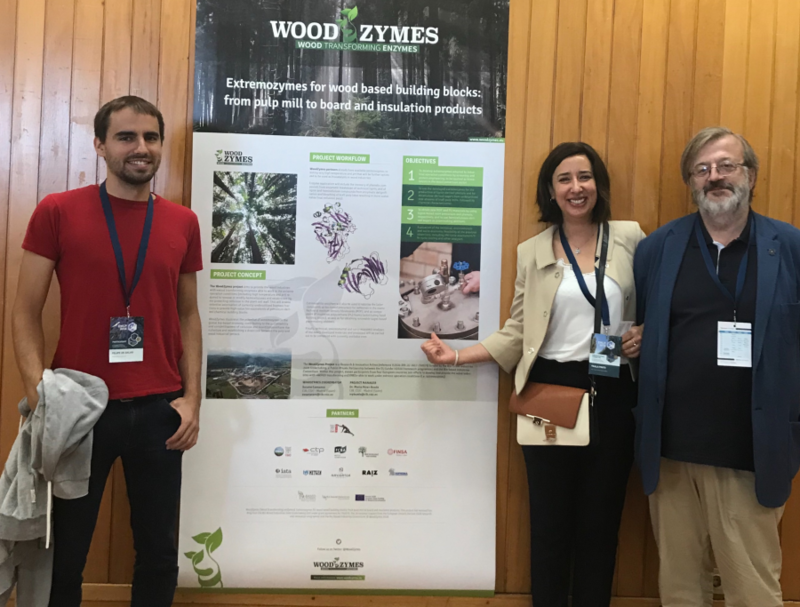 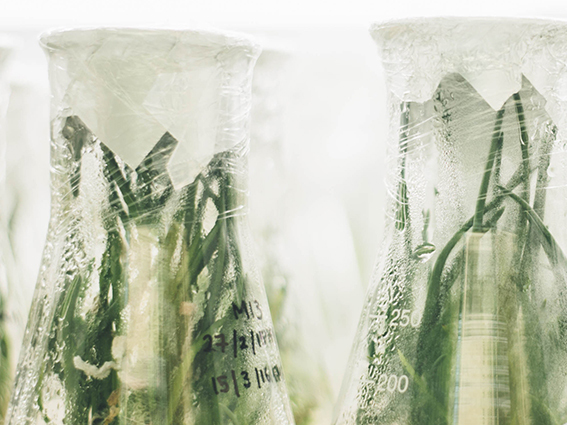 Among the participants, several members from the WoodZymes groups of CIB-CSIC and IRNAS-CSIC, and from The Navigator Company, were also present at the conference. 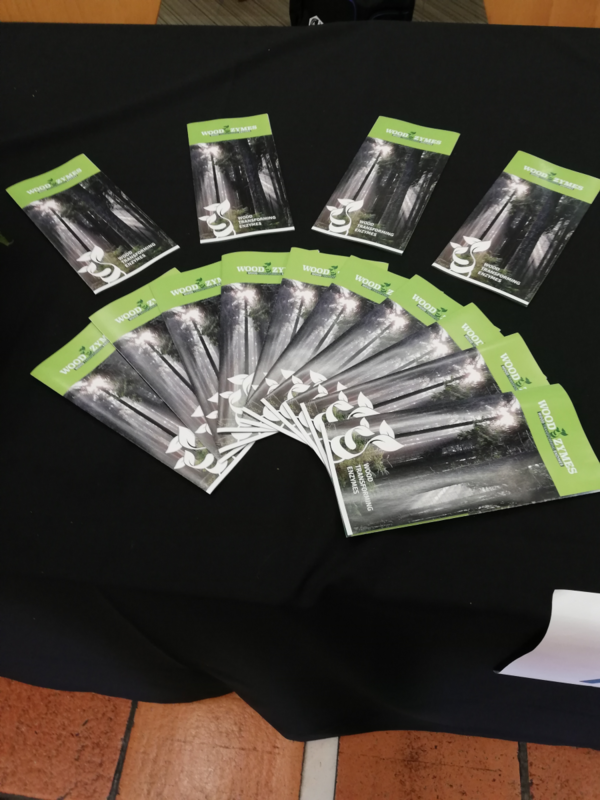 Moreover, around 170 attendees received a printed copy of the flyer describing the project. 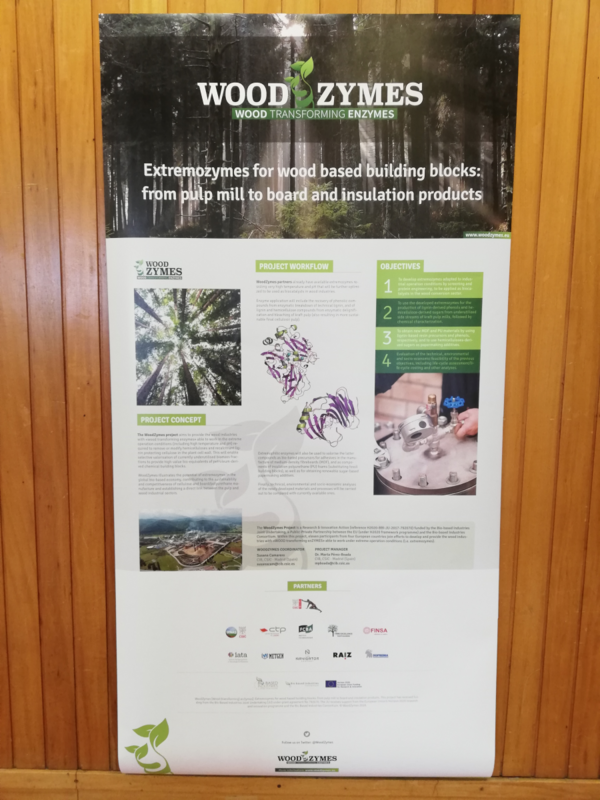 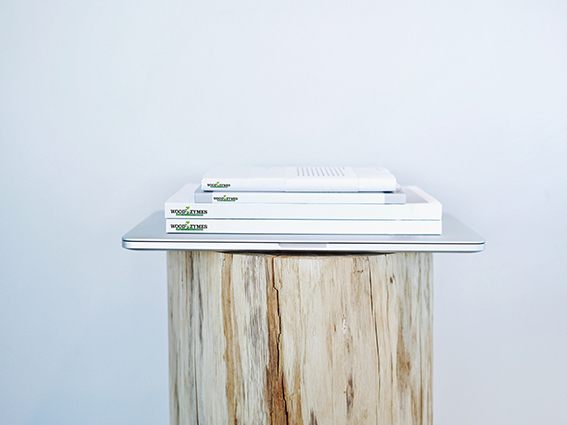 Many thanks to our colleagues from RAIZ for promoting WoodZymes in such an important meeting!